Nine WAWFL players were selected in the 2017 NAB AFL Women's Draft on October 18, 2017 showcasing the WAWFL's growing range of talent. 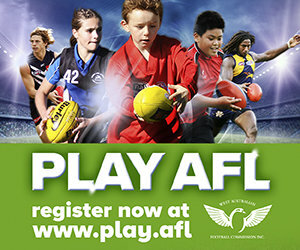 Congratulations to the five Swan Districts, two Coastal Titans, two East Fremantle players, plus the individual Perth Angel who were drafted on the day! Swan Districts' Stephanie Cain was the first selection of the WA players, redrafted by the Fremantle Football Club with pick #2. 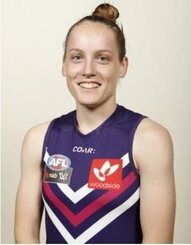 East Fremantle's Evangeline Gooch was also drafted by the Fremantle Dockers with pick #10, and the 2017 Dhara Kerr Fairest and Best Jodie White (Coastal Titans) followed shortly after with pick #18 by Fremantle Football Club. To finish an exciting day, Perth Angel Rachel Ashley was secured as a free agent by the Western Bulldogs who passed on their final pick in order to secure the defender.